This increase is only a temporary measure though. It will not apply to so called ‘clean diesels’ which are seen as the next generation of derv propulsion. 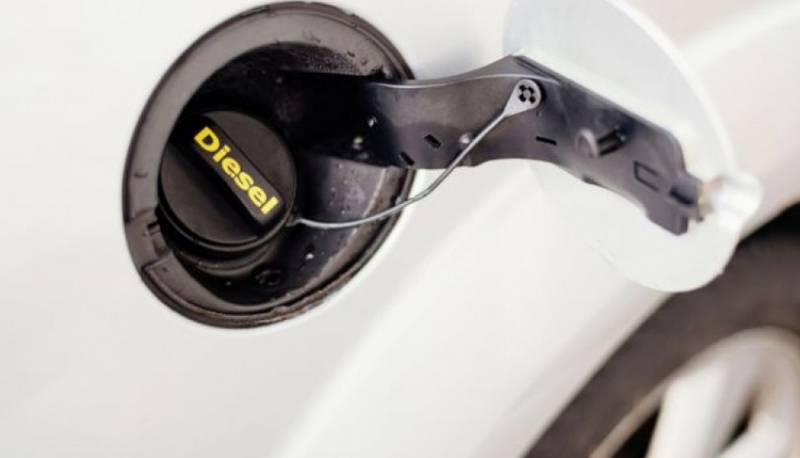 Diesel car tax is changing. If you missed it, the announcement was made back in November, during the Autumn Budget. The change is born out of Dieselgate, and the new realisation that diesel isn’t actually as clean as we were all led to believe. As of April 1st, 2018 all new diesel cars will be subject to an increase in first year road tax. Instead of being charged your normal VED rate, you’ll be charged the band above. For example, a 2.0 litre TDCi Mondeo sits in the 111 - 130 g/km CO2 band, which would currently cost you £160 for the first year of VED. As of April 1st, this will move up a band for the first year only, to 131 - 150 g/km CO2, costing you £200. Most will see only a modest increase, which will ultimately be rolled into the price of a new car anyway, with either the manufacturer absorbing part of the cost or ticket prices increasing slightly. Those rises can become a little eye watering the more polluting your vehicle is, 131 - 150 g/km CO2 jumps from £200 to £500. But the biggest increase is in the 191 - 225 g/km CO2 bracket, seeing a whopping £500 premium being slapped on the first year tax cost, giving a total of £1,700. These ‘clean diesels’ will comply with the upcoming Real Driving Emissions Step 2 (RDE2) test. Which will see cars being driven in real world scenarios to give an accurate CO2 figure. Not a lab-concocted number that is never achievable. Well, that’s also increasing. The diesel tax supplement is going up from 3% to 4% as of 6th April 2018. Applying to all current diesel cars that do not meet the new, tougher emissions regulations. The money from this increase is earmarked to help the £220 million Clean Air Fund that was also announced in the Autumn Budget. With such minor increases, it’s pointless thinking about changing your current company car, or altering what you’re going to buy this year. Currently, no new diesels conform to the upcoming RDE standards, so there’s no way you can avoid the extra charge. And if you’ve got the money to purchase the diesel Bentley Bentayga, then you surely have the extra £500 for the first year of tax. Can I still pay no car tax at all? With the 2017 increase being taken into account, even the lowest emission cars are now being taxed. But you can still avoid car tax, you’ll just have to go pure electric. The new Nissan Leaf, BMW i3 and Renault Zoe are currently tax exempt. Tesla’s get slapped with the ‘Premium supplement’ for cars costing over £40,000, which means £310 a year for the first five years of ownership. Once again it’s the average car driver that’s being hit with these increases. These new rules don’t apply to commercial vehicles or vans. In fact, the HGV road tax has been frozen. Which is rather surprising as they are the most polluting vehicles on our roads. The government is said to be working with the haulage industry on ways to reward them if routes are planned efficiently, to help improve air quality. To conclude, it’s not all bad. The increases are modest and most motorists won’t feel their wallets floating away. Even though the new rules seem like a two year cash cow for the Government.